I think I could write thousands and thousands of words about deschooling! It’s such an exciting time in the unschooling journey. Yet even if you’ve been unschooling for years it’s always helpful to take a moment and remember the roots of unschooling. More stuff to do and learn when you’re deschooling: don’t turn moments into “lessons”; embrace their passions as their window to the world; and explore routines to replace rules. 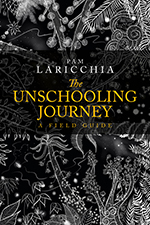 We learn so much about unschooling and how it works while we’re deschooling. I mean, that’s the point, isn’t it? Yet in my experience, that learning is never “done”. I need to pay attention, always. To stay connected, to keep learning. About my children and about myself. It keeps me from getting complacent with life. 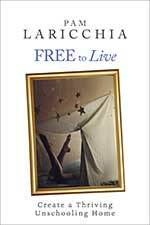 My new book, Free to Live, is now available for purchase as an ebook! Priced the same as Free to Learn, $2.99, it’s available at Amazon, Kobo, and for immediate download through me (including a pdf version). What does unschooling look like day-to-day? Want to help it take root and blossom in your family? I made the Introduction available on the website for anyone interested to read and get a feel for the book. I wanted to do something more for you guys who’ve taken the time to sign up for my newsletter so I decided to include another chapter here, The Trait of Curiosity. 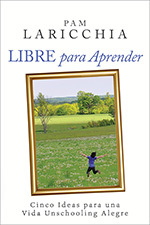 I hope enjoy the chapter, and if you chose to purchase the book, I hope you enjoy that too! I’ve found that one of the key characteristics of a thriving unschooling home is curiosity. Curiosity is the spark that drives us to explore. 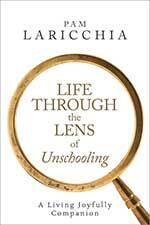 Unschooling won’t work as well as it could if the parents aren’t curious about the world around them. – that exploring and learning is a lifelong adventure, not just the domain of the young. Unschooling works better when the parents dive into the lifestyle instead of expectantly waiting for their children to discover the joys of learning themselves. Outside the school environment, the timeline of learning defined by curriculum is artificial. It’s really only required by school’s need to teach a fixed amount of information, to a large number of students, over a certain period of time. While both schooling and unschooling have a shared goal in helping children grow up able to live in the world as an adult, they take widely disparate paths to get there. Compulsory schooling takes the path of teaching students generalized curricula, covering what the developers believe a typical person would need to know and, after graduation, judges them capable of living in the real world. 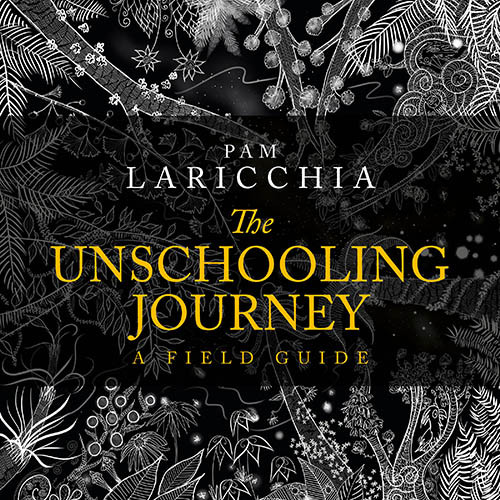 In contrast, unschooling chooses living in the real world from the outset with each child learning what they, as unique individuals, encounter a need to know, and when. – by focusing on the lifelong nature of learning, of learning information and skills when an interest or need is encountered, regardless of age. But without curricula to follow, how will children choose what to learn? By following their interests, their curiosity. Watch your children in action for a while and you will see them learning in leaps and bounds. Soon the idea of learning through following their interests won’t seem so whimsical. But, if your children don’t see you exploring the world alongside them, it becomes more difficult for them to discover that key relationship between living and learning: that learning something new is inexorably connected to a person’s interest and need, not their age. 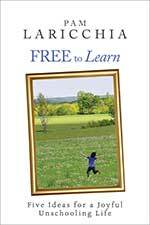 As parents creating an unschooling environment, why is that a key notion for our children to pick up? And by pick up I don’t mean ensure they are taught it, but that they are immersed in it, living it, learning it. It’s important because it demonstrates to them how learning is driven by curiosity, not age-dependent curriculum. Real learning, learning that is understood and remembered (not memorized and soon forgotten), happens best when the learner is fully engaged, immersed in the activity at hand. And that happens when they are driven by an interest or need to get to the other side: understanding. Learning can be seen as a by-product—knowledge or skill picked up along the way to reaching their real goal. Real learning connects new knowledge in some way, through interest or need, to the person’s current understanding of the world—this connection expands their understanding, and this new bigger picture makes sense, helping them remember it. It helps them reach their goal. Without glowing examples of curiosity and determination close at hand, unschooling children may not develop the drive to explore the things they discover around them, or the tenacity to choose a goal and grab on. This is the drive to learn. Curiosity is, in essence, the replacement for curriculum when unschooling. And that is why being curious is such an important trait for unschooling parents to embrace. “Look at the Lego tower I built!” James pulls you by the hand into the living room to show off his creation. “That’s cool, James.” You smile and turn to leave. “Bill has a huge Lego spaceship! I’d love to build it too, can we get it?” His smile falters with your reply, “Maybe for your birthday.” “But that’s months away.” Then his face brightens. “Oh! There’s a Lego show at the Science Centre next week! Can we go?” “I don’t think so, James, that’s an hour drive away.” Sighing, James turns back to his tower and attempts to add one more layer with his last few Lego pieces. 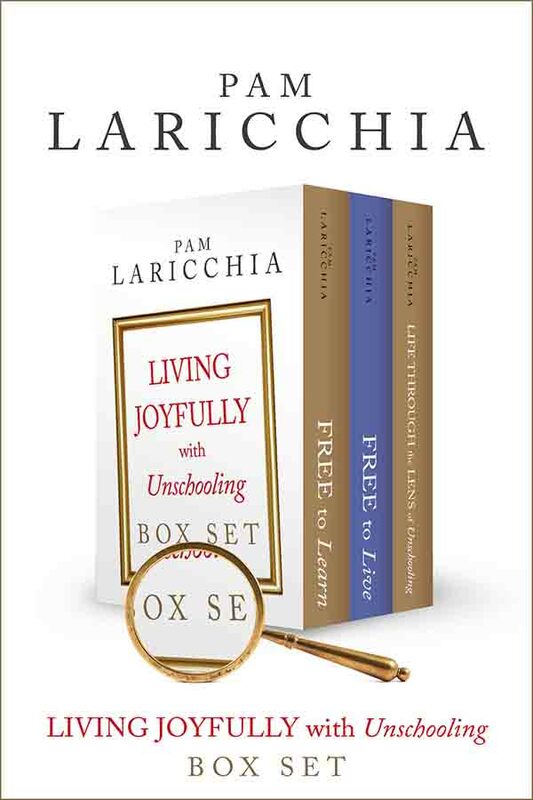 To dig further into our understanding of the link between curiosity and unschooling, let’s peer into the future and speculate about what might happen down the road if unschooling parents aren’t all that curious about life. Maybe they aren’t drawn to delving into learning with their children for extended periods of time, they aren’t taking their children out to explore the world, or bringing pieces of it home to share. In this case, the world, as seen by the children, is small. There isn’t much around them to explore, and nobody around them seems very excited in doing so. Their curiosity is being dulled. In this environment they may not develop the drive to explore the things they discover around them because there really isn’t much that is interesting enough to catch their attention. If there aren’t people in their lives showing them by example that learning is interesting and rewarding and fun, they may not discover the joy of learning. Seeing curious learners around them digging into a passing interest and discovering even more exciting connections than first anticipated, finding more fascinating pieces of the world, shows them the real value of curiosity. It motivates them to continue digging into their own interests to see what gold they may uncover. It’s true that they might discover that excitement on their own, coming across a passionate interest they are drawn to exploring, discovering the excitement that learning brings to their lives and taking that understanding into their next interest, but I’m not talking about leaving that to chance; I’m talking about creating a solid unschooling learning environment, not a wishy-washy one. Let’s look at this situation from the children’s point of view: living in this environment may give them the impression that adult life is rather stagnant. Their parents aren’t vigorously exploring life: they choose routine more often than spontaneous exploration; relaxed comfort more often than inquisitiveness; a tidy home over one with ongoing projects scattered about. And, as the kids get older they will also be picking up messages from the world around them: TV shows, books, movies, friends, and other adults in their lives. What are some of the common messages about knowledge and learning? Children need to be taught; parents are always right; children should do what they’re told without discussion; parents know everything; it’s a child’s job to go to school to learn; children will be accepted into the real world of grown-ups once they graduate etc. Being curious and living a learning lifestyle right alongside your children can help them develop an understanding of how real learning is connected to the interesting things around them, and that age is irrelevant to this relationship. If they understand this intrinsically because it is their life experience (meaning, I wouldn’t expect them to be able to explain, just live it), why would they ask their parent a question like “Why didn’t you make me learn that?” Intuitively understanding the entangled nature of living and learning, if they encountered something they didn’t yet know, they would be more likely to ask themselves if they are interested in pursuing it and, if the answer is yes, to go ahead and dive in. The question itself shows that the child still believes the choice of what to learn lies with adults, not with themselves; that they believe there is an age before which certain things should be known; and that they can’t learn them today. The young teen years can be challenging. Their schooled friends are likely looking forward to high school, excited to experience greater freedom than they’ve had before, both in the school structure and the possible increase in anonymity as the student body size grows. They imagine feeling more powerful because our ageist culture glorifies adults, and high school is a tangible symbol of their progress to adulthood. It is an exciting time in their lives for many of them, so it’s understandable that they share this excitement with everyone around them, for many preceding months. This is not to judge choosing school as a “bad” choice. The main point is that it is achoice. And in choosing school they may well learn a lot. Not necessarily about the curriculum being presented or about curiosity and the lifelong nature of learning itself, but about themselves: the ways they enjoy learning, whether they are comfortable in that type of environment, etc. It can definitely be a learning experience, but school’s strength isn’t in demonstrating the how of real, deep, connected and joyful learning, its strength lies more in the business of moving large numbers of students through the various curricula. So, we’ve been talking about how if unschooling parents aren’t embracing their curiosity to explore the world, their kids may conclude that most learning needs to be done in childhood, and thus begin to feel shortchanged by their unschooling experience as they enter their teens, since unschooling is really about lifelong learning: learn it when you encounter a need or want for it, not because you’re fourteen. Being curious illustrates the beauty of digging into things. As an unschooling parent, do you struggle with finding and following your curiosity? The excitement of curiosity is in not knowing where something may lead, but knowing how interesting it is to find out. If you’re feeling uninspired, how might you cultivate and share this curiosity about the world with your children? My daughter Lissy’s answer to someone on her 365 photography project blog is an example of the deeper understanding about living and learning that curiosity can bring. Anonymous asked: Since you’re unschooled do you plan on being a photographer for living? If you hadn’t discovered photography what would you have done when you grew up? 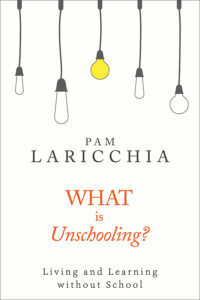 I’ve never heard of unschooled before. Lissy replied: That’s the dream. I’m sure I would have discovered something else. Even those in school scarcely know what they want to do with the rest of their life, I’m lucky that even if I haven’t found what I’m going to do for the rest of mine, I have something so fulfilling to fill the void. Her reply shows her certainty that she would have discovered something else if photography didn’t catch her passionate interest. And her belief that, in the future, if her interest in one thing wanes, there will be other interests that grow. Now I didn’t set out to “make sure she understands how interesting life is when one is curious.” How might she have absorbed this? By seeing it play out time after time, not only in her own life, but in the lives of her siblings and parents. How following connections, being curious about where they might lead, time and again paid off in exciting, fun, and unexpected, ways. How might parents show curiosity? There are a couple of key ways. First, when your child is interested in something, explore it with them! Be available when they want you with them. If you often prioritize other things over exploration, what message does that send? Show them with your actions that following their curiosity is a priority, and that it’s fun and rewarding. If finding out the exact weight of a certain Pokémon isn’t personally interesting to you, look at it through your child’s eyes. See how interesting it is for them and share that excitement. Revel in theirjoy. Help them find the answer so they experience the satisfaction of a question laid to rest, and the gift of new questions appearing on their horizon. Follow the connections. And remember, by responding to their enthusiasm, you are encouraging them to continue bringing their interests to you in the future. Maybe the next one will be even more exciting! And, certainly when they’re younger, they may not know all the avenues of investigation that are available to them so be their guide. Find and share fun things that are connected to their interest: related TV shows or movies, museum or science centre exhibits, hands-on activity or quiet contemplation, books or magazines, toys or games, websites or blogs, forest walks or lake swims. But as always, don’t get so attached to these opportunities that you develop expectations of their response. Instead, take the stance that you are learning more about your children based on what connections they find interesting and want to pursue—you gain whether they say yes or no. You’re still, and always, learning more about them, even if they don’t want to pursue any of your suggestions right now. 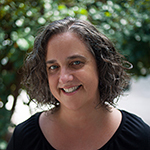 Over time you may come to see that the suggestion of yours that they chose not to pursue wasn’t actually related to the central interest in their web of learning, but just a passing connection. Now their actions make more sense. Your curiosity about your child’s curiosity will help you learn so much about their lives; their interests, their likes and dislikes, and all the whys behind them. And it’s that deeper understanding that will inform your actions and reactions moving forward: the things you will choose to point out to them; the things you will choose to sweep out of their way; the comments you will try to remember to share when they next pass through the room and those you’ll make the trip to find them to share immediately; the places you will choose to take them and those you’ll talk with them about waiting for the next opportunity. And if their reaction is different than you expected, it’s not personal; it’s just another piece of information for you about how they see the world. Over time, your ability to help your children explore their interests will improve. Each time you see which threads they choose to follow and which they leave dangling, you learn a bit more about how they like to learn. And that corresponds with the ways they learn most effectively. But remember, people change. Don’t cut off bits of the world forever; it makes it smaller. Our interests change over time, our point of view changes with experience, and our needs change as we get older. Those things that we passed on last year or last decade or last month might now make inspiring connections to our ever-evolving perspective. Another way to model curiosity about life and learning is to have and explore your own interests, and to share those interests with your family. It doesn’t need to be a big production, especially when the kids are younger and stretches of time on your own are few and far between. Maybe you like to read or knit and you do a bit sitting by them as they play, commenting with pleasure when you’ve found a new book or pattern. Or you enjoy making jewelry or duct tape wallets and you make space for their projects alongside yours. Maybe you’ve picked up a hula hoop or remote control plane that you’ve always thought might be fun and ask if they want to come outside too. Whatever your passion—invite them along. Even just reminding yourself why you do the day-to-day things that you do. Remembering the larger goal of your daily tasks can help put a bounce in your step. Think about new ways you might do them and share what you’re thinking. Be curious. A new place to fold laundry? “Come lie on the bed and I’ll cover you in warm, fresh clothes.” Then maybe together you rearrange their drawers so they can reach their t-shirts and choose their top each morning. Or grab a new one after a juice spill. Life is more fun for them, and a bit easier for you. When the kids are older, your curiosity and explorations will probably look more purposeful. In our home it can look like my husband spending the day researching a new backup process for our network then working with each of us to set it up on our computers, or me reading about self-publishing and sharing some newfound insight about the industry over dinner. Or someone wandering out of their bedroom earlier in the morning than usual and seeing me doing some yoga. Living and learning together. When nagging questions begin to pester you, that’s a good indicator that it’s time to step things up, to look more deeply at situations and figure out why you’re feeling uncomfortable. You’re curious about what’s going on with your child, right? So don’t just observe what your child is doing; dig into the why. Not by asking directly, that will likely give away your discomfort with the situation, but by observing more closely. If your child is watching a lot of TV, watch it with them! And watch them. What things catch their attention? What do they react to? Talk with them about the shows themselves and listen to what they’re thinking. There’s a good chance they’ll be happy to have you there and to share their thoughts. Are they watching TV shows with curiosity and intention? Are they catching new nuances in the actors’ (or voice actors’) performances with each viewing? Or further memorizing the dialogue? Or gaining a deeper appreciation for the director’s choices? Or relaxing with a loved and familiar show while processing unrelated stuff? Or do they seem bored? Is there a lack of other choices? Or a general lack of interest in pursuing other opportunities? Let what you learn help you dig further and chances are eventually you’ll discover the enjoyment and learning they are experiencing. You’ll find they do have an interest, you were just not seeing the signs. Celebrate this with them! Find other things by their favourite directors, or find more information about the process voice actors use to record their dialogue—support and extend whatever it is that is catching their attention. If you discover that their extended time in front of the TV is more of a cocooning phase, needed to process other things, then bring them food and drinks, watch with them, make the spot extra comfortable. Be open and available to talk about anything that comes up: the TV shows, the experiences they are processing (if they want to), your experiences with relaxing (share your favourite comfort shows as a child, and now) and so on. If you think that they are choosing TV more as a default, step up your interaction with the world. Offer things to do more often, but remember to offer things you think they might truly be interested in doing, not things you wish they were interested in doing. See the difference? And bring bits of the world to them: if you’re out on an errand, bring them home a small surprise: a reading or activity book; a toy from their favourite show or a logic puzzle or a video game or a movie. Things they can enjoy right in the comfy spot they are sitting. Or a hula hoop or a jump rope if you think they’d like to move about. Or maybe look online for something they might enjoy without leaving their nest: free games; virtual museum tours or frog dissections; NASA space simulations; basic game development programs; a new recipe for you to bake. So many possibilities! The point is, if you’re feeling discomfort when you’re unschooling, don’t ignore it. It’s good to question the unschooling environment you’re creating from time to time (though if you’re feeling discomfort often, you probably need to start asking yourself bigger questions about unschooling than just the environment you are creating). It’s a great time to check that you’ve not lost your curiosity about life, that you’re fully supporting their explorations, and making their world bigger, not smaller.